This is strange because Magu was expected to have used the forum to address the issues of impunity raised in the U.S. State Department report which directly indicted leaders of the anti-corruption crusade by emphatically noting, among other things, that “there is a climate of impunity in the President Muhammadu Buhari government that allows officials to engage in corrupt practices with a sense of exemption from punishment”.The claim of a stolen N1.3 trillion public fund which Magu reiterated on Monday is not new, for the discerning members of the public, the claim by Magu is rehash of false allegations that started its ill-fated journey in 2016.In January 2016, Muhammadu Buhari’s prophetically named Minister of Information, Alhaji Lai (Lie) Mohammed, claimed at a world press conference in Abuja, to mark the beginning of the administration’s war against corruption, that 55 well-placed Nigerians stole a whopping N1.34 trillion between 2006 and 2013, a period covering the Presidencies of Obasanjo, Yar’Adua and Jonathan. “However, the U.S. State Department denied the story, asking Oshiomhole, to name the official and not drag United States into Nigeria domestic politics.The truth is that Ibrahim Magu lied and this is not the first, or second time he has lied to the public.It would be recalled that Mr. Magu has boasted on many occasions that the EFCC under him had recovered about N739 billion within two years, adding that over N500 billion was recovered in 2017 alone.However, Kemi Adeosun, the then minister of finance in the same Government at that time, decided to put a lie to Mr. Magu’s claims, by revealing in March 2018 that contrary to all the figures provided over time by the EFCC’s acting chairman, Ibrahim Magu, only N91 billion of such claims could be accounted for by the Government. 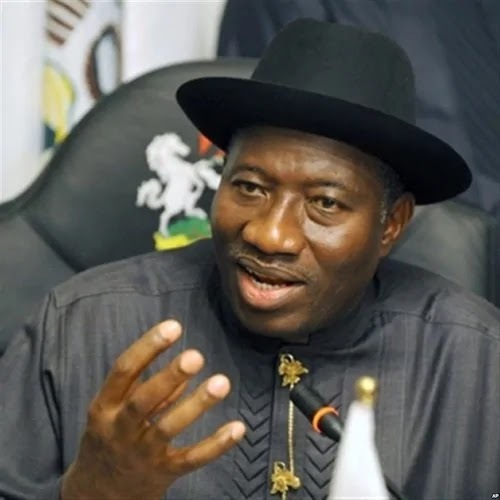 According to Transparency International, Nigeria is more corrupt today than at anytime during the five-year period of Dr. Goodluck Jonathan’s time in office. It is also a fact that under the Muhammadu Buhari administration arranged the recall, reinstatement and double promotion of Abdulwasiu Maina, the biggest ever thief in Nigeria’s civil service history and even gave him armed guards. It is also a fact under the Muhammadu Buhari administration, the Group Managing Director of the Nigerian National Petroleum Corporation awarded $25 billion worth of contracts without due process. To put this in perspective, that money can pay 1 million Nigerians the proposed new minimum wage of ₦30,000 for 4 years. This is a fact. Moreover, it is a fact that renowned entertainer, Mr. Charles Oputa, AKA Charly Boy, recently revealed that the spokesman for the Muhammadu Buhari re-election campaign, Mr. Festus Keyamo, paid him a nine-figure sum (at least one hundred million Naira), to attack the candidate of the Peoples Democratic Party in the February 2019 Presidential elections.The question Mr. Magu should answer is where did Festus Keyamo get so much money that he carelessly throws around? Finally, Nigerians saw clear evidence via drone imagery that bullion vans carted cash to the home of the National Leader of the All Progressive Congress, Senator Bola Tinubu, 48 hours to the Presidential election. These are the types of characters surrounding President Buhari. Characters that you will not trust with even your dog. One had expected that all these remonstrations from the US State Department among with the facts listed above would prompt Mr. Magu to change his politically-influenced blame game approach and adopt a more professional strategy. Magu should realize that his credibility and that of the agency he leads should derive from the attention he gives to objectivity, professionalism and hard evidence. It is rather unfortunate that Magu chose to enmeshed state institution such as the EFCC into partisan politics, thereby prioritizing propaganda, deceit, half-truth and hearsay as the organization’s strategy of governance. Enough! Nigerians want to hear something new, good news, tales of hope, and not this rehash of poorly articulated fables like corruption fighting back and non-existing folklores of people who stole in an unknown year.